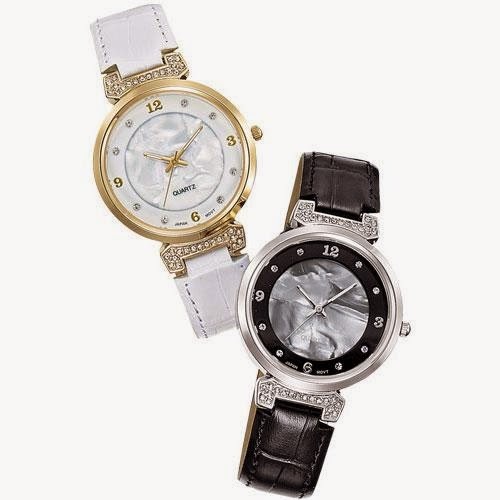 Round faced watch with faux mother of pearl dial, faux croc strap, and rhinestone embellished lugs (strap connecters). Offered in silvertone (black strap) or goldtone (white strap). • Comes in a black Avon box with white removable sleeve. 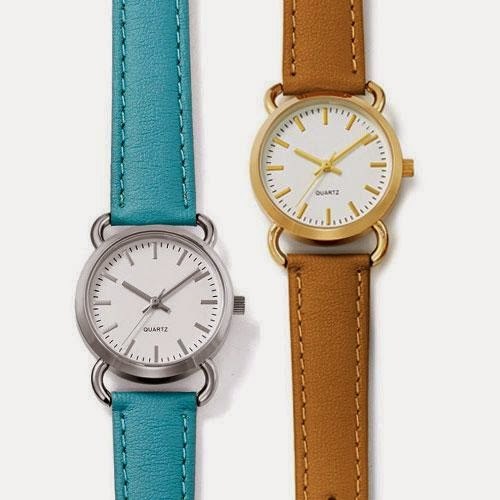 Round faced watch with a leather like strap in your choice of Blue (silvertone) or Brown (goldtone).